The final votes have been tallied and the result is that the monthly general membership meetings are relocating to the Keizer Elks Lodge on the 4th Tuesday of every month beginning in February. A total of 62 members voted of which 40 opted for the relocation. 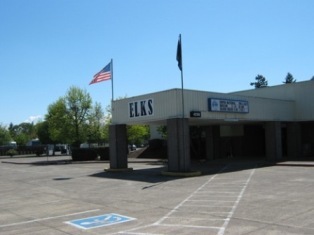 Of the other 3 options; 11 voted to remain at the Salem Elks, 6 wanted to stay at the Salem Elks until a suitable Saturday morning location could be found, and 5 would have liked to relocate to Keizer Elks until a suitable Saturday morning location could be found. The Keizer Elks Lodge #2472 is located in Keizer at 4250 Cherry Ave NE and the meeting times will not change with the exception that the meetings will be held on the 4th Tuesday every month instead of the 2nd Tuesday. As we’ve already held our January meeting, the first meeting at the new location will be Tuesday, February 26th. Meetings will begin at 7 pm but the lodge will be open to all HOG members beginning at 5:30 pm for dinner, beverages, and camaraderie with other members. Please remember that one major change is that no one is allowed to wear any kind of head covering in the Keizer Elks Lodge so please remove your ball caps and do-rags before entering. There is a buzzer at the inside set of doors which you will need to press when entering. Just let the person who answers know that you are there for the HOG meeting and the door will be unlocked for you.